Packaging Facility - Santec Exim Pvt. 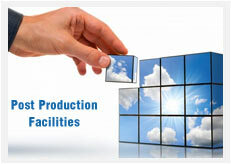 Ltd.
Santec has a state-of-the-art packaging facilities backed by the team of well trained professionals. The complete process of packaging is done in a single line, using a wide range of packaging material. Transport and packaging requirements are considered early in the product design process. Environmental friendly packaging materials such as cardboard, wooden crates, etc are used. The packaging is palletized for easy forklift, facilitating easy loading and unloading. The complete packaging process is carried under the supervision of experts. The boxes are stuffed to protect the machines from damage during transit. Every consignment is labeled using hi-tech packaging and labeling machines. Special material handling equipment ensures safe transportation of the packed consignment. Santec's specialized team makes sure that the packaging complies with the relevant legislation of the importing country. Santec's inventory Management is designed to meet the dictates of the marketplace and support the company's strategic plan. The company has facilities to track purchases, receipts, shipments, returns and adjustments. This helps in efficients of large inventory of spare parts, ready to deliver machines, standard hydraulic equipment, etc. A complete control over the inventory helps the company to significantly reduce freight costs, shorten lead time, improve shipping performance, and reduce raw material purchasing & labor costs.